(CNN) -- World 100 and 200 meters record holder Usain Bolt will compete solely in the longer sprint distance at the Golden League meeting in Brussels on Friday. Bolt will compete solely in the 200m at the Brussels Golden League meeting. 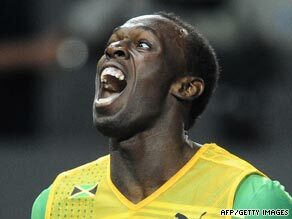 The decision not to run in the 100m race means Bolt will avoid a showdown with American sprint rival Tyson Gay.